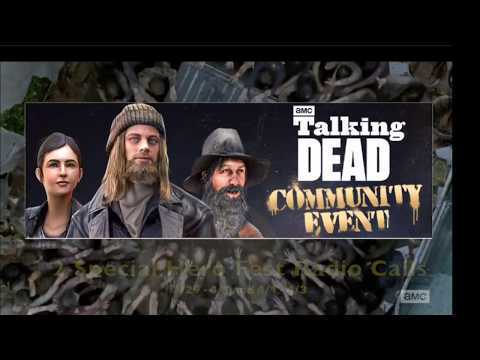 OK guys here is my first foray into the Event Update scene as an OFFICIAL Content Creator for these forums....... I got a copyright claim on this so going forward I might need to be a bit more ummm conservative let's say.......ENJOY! Nice trick with the walkers' audio. Meh. Was hoping for Spring Cleaning for scrapping gear. Come on, devs, it's the holidays!! What?! Is this an actual event?! Color me confused. Ummm yeah, what is the event? Trinkets and gas to buy in the shop? it's an "Improved Community Event" consider this a teaser for NG's big reveal of all the details... thanks for the positive feedback guys! I don't have sound at work but this looks not promising at all. You gotta be more succinct with your videos....just sayin'. sorry. What is the event??!!!! Thanks NG! I was hoping to spend more time with the family this holiday weekend! No Herd or Radio Drop weekend to mess that up. But but you can buy gas with all the less trade goods you are earning. I think I'm gonna have to doctor up a base image for that. I rescind my former statement. Free boosters so I don’t care what the event is! Nice to get 24-hr Gas and 2x XP Gift for the weekend! I guess I'll now have to pick the day where I won't see my family. I haven't opened the game yet... is this like before where we have the weekend to decide when to accept the gift and get free gas from that point for 24 hours? But it’s not available yet. Thanks. But I read there's also a better gas deal in the shop? So is it essentially free gas one day and the other two days you can buy gas for TG? Is that a one time purchase? I guess it’s available with every refresh of the shop. Regarding the 20 Gas for 1k crates on each restock. Due to the recent fix that retains\adds to your gas while on 24 hour gas purchase, you can still buy and store it for when you are done with the 24 hours.